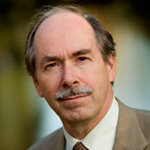 Prof. Dr. ‘t Hooft is a leading Dutch physicist working at the University of Utrecht. He has received many awards for his contribution to science, among which the Nobel Prize in Physics in 1999. His primary research interests focus on gauge theories in elementary particle physics, quantum gravity and black holes, and fundamental aspects of quantum physics.